If you ever step into your basement and find yourself up to your ankles in water you will understand the need for a quick response to your water damage repair problem.Water damage is quite frequently caused from a broken pipe and quite often it is the result of a broken pipe from extreme cold weather. It is also feasible that foundation cracks or perhaps a broken weeping tile system is allowing water to penetrate into the home and resulting in some form of water damage repair.The first thing you want to do is cut off the source of the water supply. If your problem simply stems from somebody leaving a tap or valve open by mistake you simply shut off that tap. Many times however the source is not that quickly identified so it is best to shut off the main source of water supply to prevent further damage and allow time to assess the size and source of the water problem. Once you have shut off the water supply you will probably want to call a fire and water restoration company such as Total Home Services. In cases of extreme water damage and penetration it is always a good policy to call in professional people they will be in the best position to provide advice on your water damage repair. The problems of a poor clean up job could go on for years and you certainly do not want to live in a contaminated dwelling as a result of this. A professional fire and water damage restoration company will make sure the water damage repair job is properly done. The decontamination may require EP approved chemicals and Total Home Services is trained to use different cleaning and decontaminating agents on certain materials. Total Home Services will also be able to find the source of the water problem and will guide you through the correct water damage repair procedure. Total Home Services will also provide excellent communication with your Insurance company to allow your claim the best opportunity to be dealt with in a quick, reliable fashion. Total Home Services is a member in good standing with the Better Business Bureau, a Certified member of The Institute of Inspection Cleaning and Restoration, a member of the Carpet Cleaners Institute of North America, a member of the World Floor Covering Association and hold a WRT Certification. Set your mind at ease and view Total Home Services Better Business Bureau report. Total Home Services has a quick response fire and water damage repair response in the following areas: Coquitlam, Port Coquitlam, Port Moody, Maple Ridge, New Westminster, Burnaby. Other areas of the Lower Mainland such as Vancouver, North Vancouver and Surrey are also serviced please ask for your response time when you call in. If you have had water damage one of your objectives is to prevent the growth of black mold. If you’ve ever been in a situation where black mold starts to form on any of the walls within your home, you’ll know how upsetting this can be and how it can have a detrimental effect on your health and even the future sale of the property. This could happen due to a lack of ventilation and a build up of mositure or there may have been a water spill that was never correctly rectified. Mold forms when there are high levels of moisture and especially if the property is warm on the inside and temperatures are cold on the outside. The walls start to sweat and gather moisture and this leads to dampness. When the areas eventually dry out, there’s usually a dark green and black color present and this is the start of mold caused by the growth of fungus, which should be treated instantly, as it can have effects on your general health. The most commen reported health problems with the unwanted black mold are chesty coughs, headaches, migranes, rashes, sinus problems, constant sneezing bouts and respiratory and breathing problems, so if you suffer from asthma then, it’s absolutely vital to get the black mold removed at the earliest opportunity. In more severe cases of there can be toxic emitted from the black mold called Strachybotrys Atra, which attacks the lungs and can have serious effects on very young or elderly people. Once you’ve located the exact area of the mold, all areas of exposure to the fungus should be protected – eyes nose and hands. Using bleach is one way to attack the fungus and kill the mold and there are specific paints which have agents for mold removal. If you are considering doing it yourself be sure to review your process very carefully make sure your skin in protected, the areas are well ventilated and you have very carefully researched your process. A safer more reliable method course of action would be to hire a professional who is trained in mold remediation. I hope you found this article useful. If you require any further details regarding the safe removal of black mold you can visit the website at www.homerepairandrenovationsvancouver.com or Call Ken at Total Home Services 604-808-7039. Watch “On The Job Video” in respect to Bathroom mold. If you’re looking for the latest details on water damage restoration you may find this article to be just what you have been looking for. If you’ve ever experienced water damage to your property then, you’ll know about the feelings of despair and the panic that normally sets in and you probably don’t really know which way to turn. What to do in the event of water damage? The first thing to do is assess the damage of to your property and the extent of the overall damage. Hiring a professional company to carry out the removal of the water damaged goods and restore the property to it’s original condition is essential. When using such a company it’s important that they are proven in their field and have some form of certification like the IICRC who are a recognized body for water damage restoration. There are general guidelines for procedures to carry out a rigorous examination of the affected property and document all the affected items including structural damage and any cross water contamination. Once these details have been sorted the appropriate details can then be submitted to your insurance company and loss adjuster. 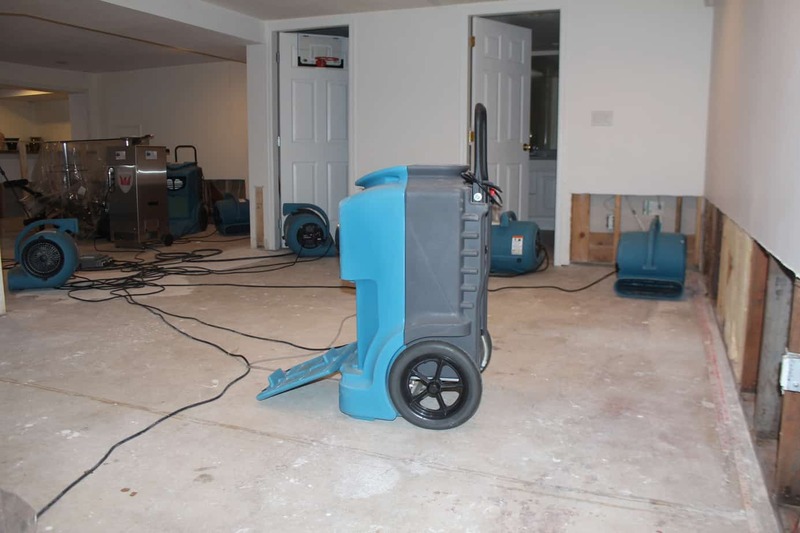 What is the procedure of water damage restoration? The first thing is to remove all of the affected items from the property and get rid of any excess water using the appropriate water sensing equipment for the safe and quick removal of the water. There is a good chance you may also require sanitization. The affected areas must be made good by way of air drying equipment like scrubbers and dehumidifiers. This equipment is usually left for a few days in order for the drying process to work efficiently. Now the replacement of any drywall, timbers, floorboards and cabinets can take place and this is were things start to take shape and you begin to get your house back. The final piece in the jigsaw and the happiest part is the new materials like wallpaper, paint, decor, carpets and furniture and once this is all in place it will be such a relief that, you’ve finally got your property back after this horrible inconvenience. I hope you found this article helpful. If you require any further information regarding water damage restoration and mold remediation you can visit the website at www.homerepairandrenovationsvancouver.com. Water damage Service areas include: Vancouver, North Vancouver, West Vancouver, Burnaby, Coquitlam, Port Coquitlam, Port Moody, New Westminster, Surrey, Langley and Maple Ridge.